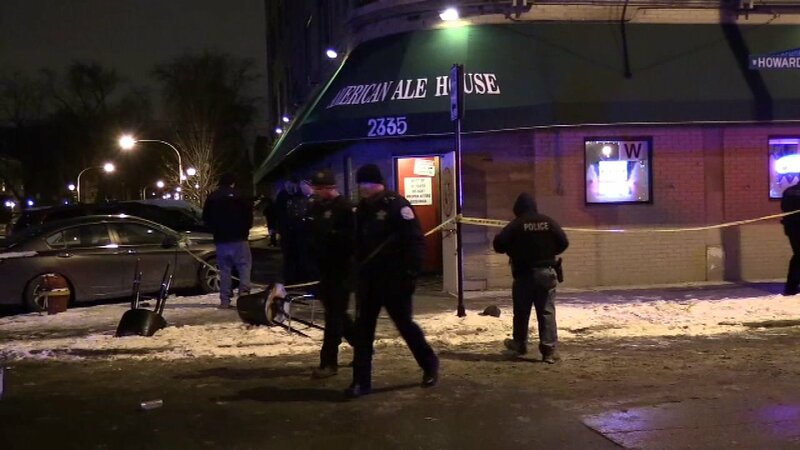 CHICAGO (WLS) -- Four people were wounded at a bar in the West Rogers Park neighborhood early Sunday morning, Chicago police said. The victims were inside the American Ale House near Howard Street and Western Avenue at about 1:35 a.m. when a male suspect opened fire, police said. A 24-year-old man was wounded multiple times and transported to St. Francis Hospital in critical condition, police said. Three other men wounded were hospitalized in stable condition.